Something from my bar whenever I feel like it episode CLXXIVsteemCreated with Sketch. 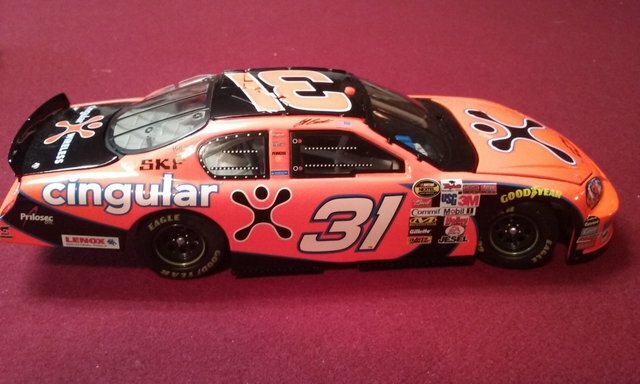 For today we have the number 31 Cingular Wireless car of Jeff Burton. 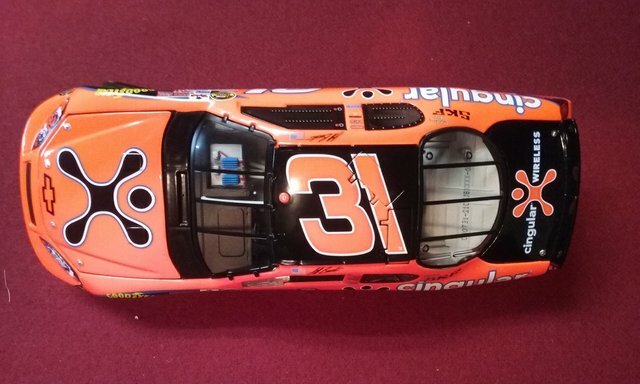 This one is from the 2007 Sprint Cup season. 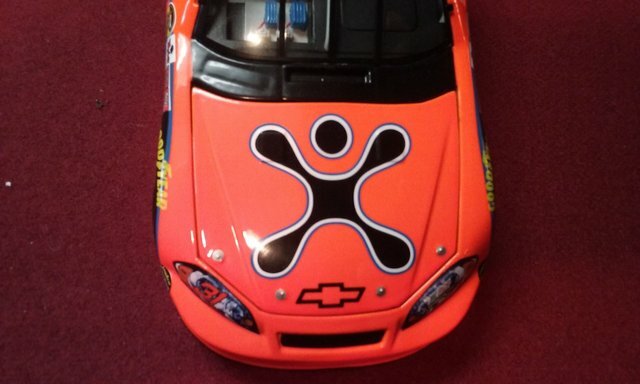 Seemed like all the cellular phone companies had car sponsorships and Sprint had the races themselves. 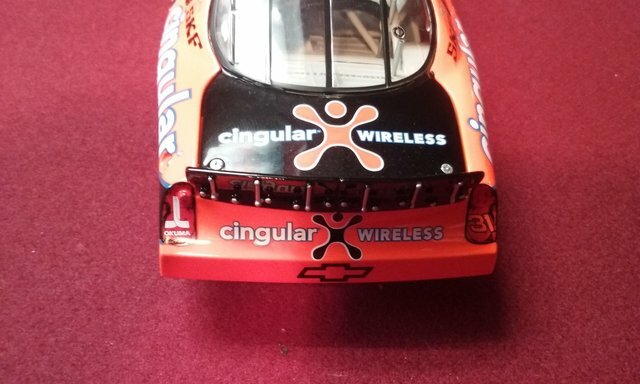 Cingular was eventually bought out by AT&T and Jeff Burton moved over to announcing the races a few years ago. Heck even the cars themselves changed not long after this. 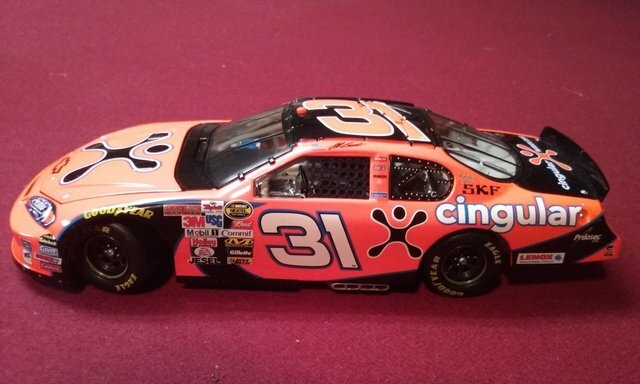 Just another collectible of a bygone era of racing.